Oxford’s very own four piece Glass Animals has been stunning the world with their incredible live performance on what seems like an endless touring schedule since their inception. This summer, they appeared at music festivals far and wide to dazzle their fans with incredible lighting, perfect vocals, and a style all their own. Today, they released their newest album, How to Be a Human Being, and it is – hands down – their greatest release yet. But that’s not all the fun news we have for you. Vinyl Me, Please has announced that their album of the month for September is a gorgeous, limited edition blue vinyl version of How to Be a Human Being. It will be packaged with an original 12” x 12” art print by and a custom cocktail pairing. That’s right. 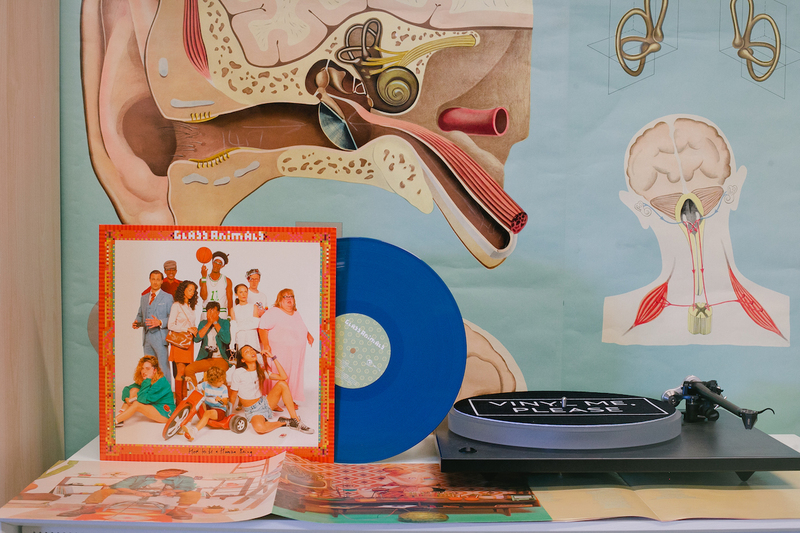 Glass Animals has upped their game, and you could be one of the few that get your hands on a copy. And you thought we were done, didn’t you? Glass Animals will perform a one-of-a-kind Tumblr IRL, sponsored by Ice Breakers mints, at The Auditorium at the Village Studios in LA. The event will take place just days after the band releases their upcoming and much anticipated sophomore album. Through an immersive collaboration between Glass Animals and artists Ashten “Whoopi” Winger and Mykola “Myk” Dosenko, the event will bring to life the diverse group of fictional characters featured on the album, inspired by real people the band encountered while touring over the past 2 years. All attendees of the Tumblr IRL event will receive a copy of How to Be a Human Being. RSVP here.